IAPAM Certified - What Does That Mean? 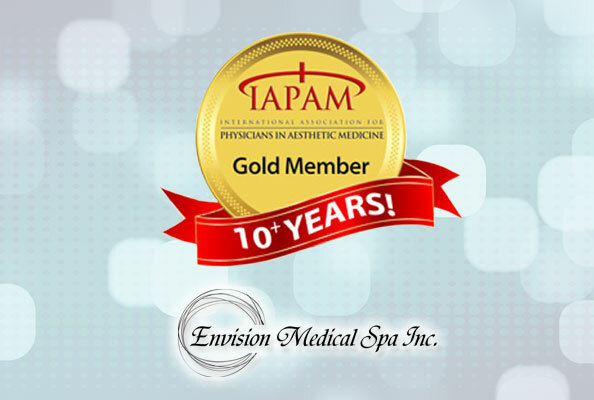 Envision Medical Spa is proud to say we have been certified by the International Association for Physicians in Aesthetic Medicine (IAPAM) for 10+ years! The IAPAM was founded twelve years ago, with the main focus to teach physicians the best practices when they add aesthetic or medically supervised weight loss treatments to their practices. They have been providing guidance and training on the latest aesthetic trends such as Botox and Medical Weight Loss. Over 4,500 physicians have attended their training programs! What Does IAPAM Certified Mean? As a member, we are dedicated to providing medically competent service with respect to our patients. We understand the physician-patient relationship is built on mutual trust, honesty and secure confidentiality. Being IAPAM certified means that we have attended training sessions and have received CME (Continuing Medical Education) credits. CME credits help healthcare providers improve their practice and continue to deliver high-quality and safe patient care. Our purpose as a Medical Spa is to make you as a patient feel comfortable in knowing that we are professionally trained and a member in good standing with The IAPAM. We offer Botox injections, Laser Treatments, Clean Start Medical Weight Loss, Chemical Peels and much more! Call 780-986-8352 today for free expert advice or to book an appointment! Your first consultation is always free.